Home › General › Knock-Off Handbags: Are they Worth It? Knock-Off Handbags: Are they Worth It? Some women judge their handbag by its size and ability to efficiently carry everything they might need. Some women pick a handbag to match their outfit. And, some women throw caution to the wind and buy a handbag that calls their name. The following handbags may call your name, but you may not want to answer. As Sebastian Hansiek writes, they are some of the most exclusive handbags and have price tags to match. How Much does that Fake Bag Cost? With price tags like those, it’s no wonder counterfeits are everywhere. According to Christine Fellingham, a writer for usatoday.com, “Counterfeit goods account for 2 percent of global trade, according to the Organization for Economic Cooperation and Development. 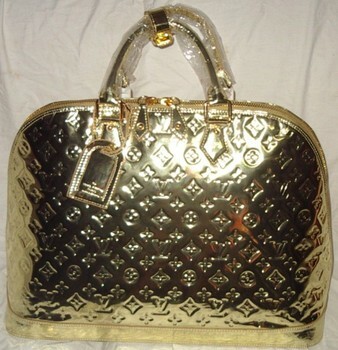 A report by the United Nations Office on Drugs and Crime states that counterfeit goods in East Asia and Pacific areas alone account for $24.4 billion in sales.” The top counterfeit bags are Coach, Louis Vuitton, Kate Spade and Gucci. What Makes a Fake So Bad? Why is purchasing a fake a bad idea? Cynthia Nellis, Women’s Fashion Expert, suggests there are several reasons. She states, “Counterfeiting robs the U.S. alone of more than $200 billion a year.” That’s because the sellers don’t pay taxes on the goods. Then we, as upstanding citizens, must pay higher taxes to make up the difference as they continue to utilize resources and not pay their share. Criminals are the only ones selling counterfeits. Though it is not illegal to buy a counterfeit product, it is illegal to sell counterfeits. Profits end up in some very bad hands. Gangs, terrorists and other various nefarious individuals earn livings this way. At one point, counterfeit purses were lined with heroin to smuggle it into the United States. There is evidence that the World Trade Building Bombing in 1993 was financed by counterfeit apparel sales. Knockoffs aren’t held to the same safety standards as the originals. Toys, pet foods and other items from countries that are not strictly regulated have been shown lately to cause long-lasting damage. Dyes, fabrics and accessories used to create a counterfeit purse may not be good for you. Following regulations about the kinds of fabrics that are safe to use is not a priority for a company making knockoff bags. What you don’t know about them could hurt you. March 2, 2015 Knock-Off Handbags: Are they Worth It?